On June 20, 2016, twelve people, including 10 Australians and one child, were seriously injured in a tour bus accident, and many had to be evacuated by helicopter for treatment. While on a twelve day itinerary on-board P&O's Pacific Dawn, a local transit bus and a tour bus collided, injuring twelve people in Vanuatu. A lot of the passengers suffered head injuries and multiple fractures. Ten out of the twelve people had to be airlifted back to Brisbane and Noumea. David Jones, spokesman for P&O Cruises, said "It's fair to say that the Australian passengers were receiving excellent care in Vanuatu, but this is a very big event for Port Vila, so we thought the best way to deal with the situation was to airlift our guests back to Noumea for specialist care there or back to Brisbane for specialist care." In a Facebook post on the P&O Australia page, a spokesman said, "Three air ambulances have departed Brisbane for Port Vila and are due to arrive there mid morning for the next series of medical evacuations." 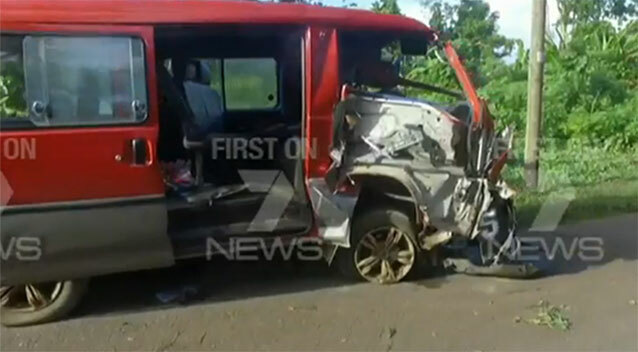 A spokesman for the Department of Foreign Affairs and Trade said, “DFAT can confirm that a traffic accident on 20 June in Port Vila has injured Australians and resulted in the death of a number of Vanuatu nationals. "All of the Australians are passengers from the cruise ship Pacific Dawn, Carnival Cruise. Carnival Cruise is arranging medical evacuations for a number of the injured passengers and is in contact with their families." Below is an update that a P&O spokesperson posted on face book on June 21, the day following the accident. Below is an update that a P&O spokesperson posted on Facebook yesterday.